In May, all children in Wales from Year 2 to 6 will be taking part in the Welsh Government Testing. Below is guidance and information to help you support your child. Please speak to a member of staff if you would like more information. Welsh Government have worked with numeracy experts in Wales to produce a selection of maths resources aimed at 3 to 16 year olds to encourage parents/carers to engage with their children and support them with their maths homework. click on the youtube link below. We have a very exciting curriculum at Springwood with the latest technologies entwined throughout. Why not watch the amazing video below of how we use IT at our double ICT award winning school. We also work with other schools to improve teaching and learning. 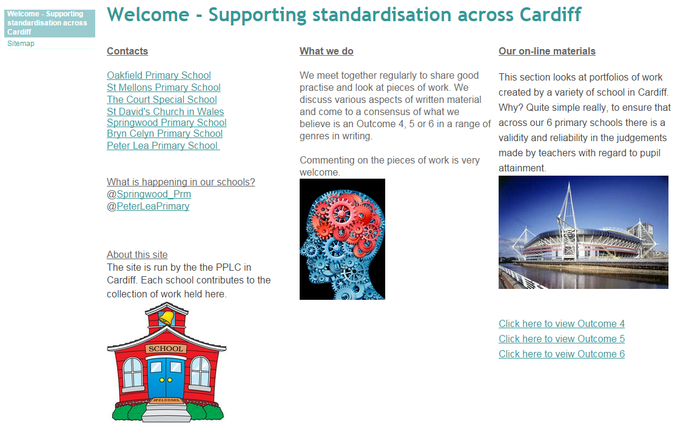 Click the photo for an example of how Springwood works with other schools to support standarisation of pupils work. We have also been working with some other schools learning about ways in which we could improve AFL across Numeracy. As a group of schools we tried and tested different ideas and here is some of the information that we have learnt. Click the photo to learn about what we did.